On June 30, 2018, the London-based auction house Watches of Knightsbridge will be offering a Rolex Submariner 5513 “Meters first” from 1969. 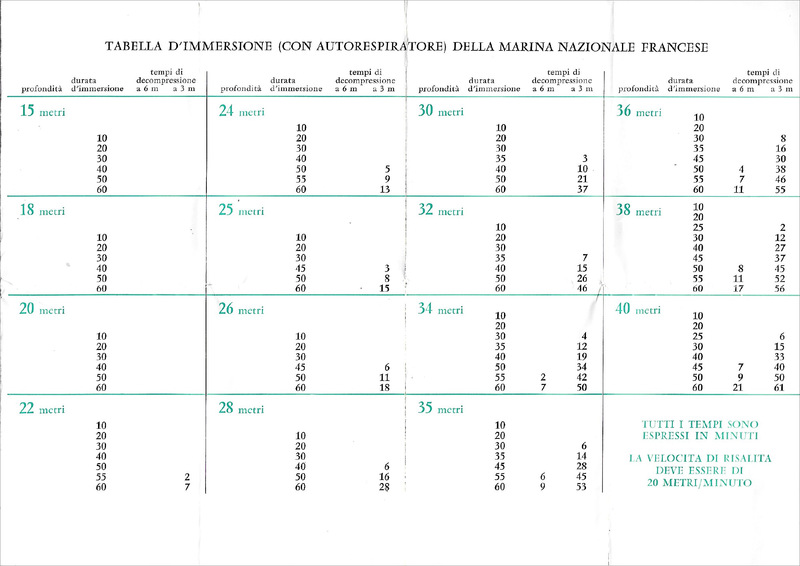 Such a Submariner is nothing special in and of itself if it weren’t for the Italian pamphlet that came with it. As a matter of fact, I’ve never seen one of these pamphlets. The present pamphlet is a perfect example to show that lots of information has not yet found its way to the internet. 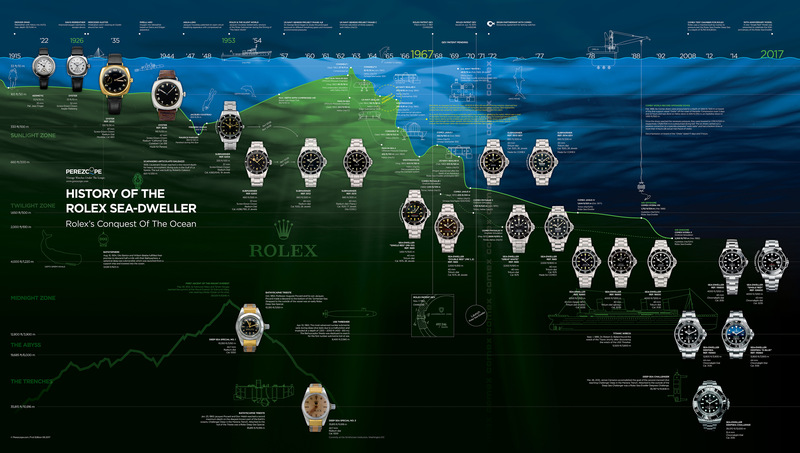 Similar Rolex pamphlets were digitalized in the past but the quality of this data is in most cases very poor. Watches of Knightsbridge was very kind to scan the pamphlet in highres for me to share with my readers. 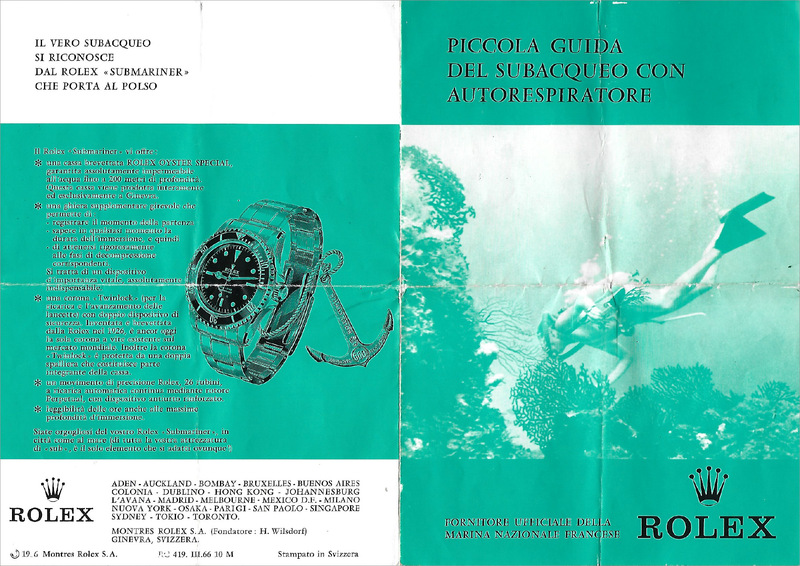 As an advanced open water diver myself, I consider this pamphlet to be more of a Rolex marketing stunt. It could never replace the necessary study of the matter and the corresponding training that is required to become a responsible diver. However, it certainly created awareness about the need of proper dive planning. It also needs to be said that he dive table shown in the last picture is outdated. Since Italian is my second language, I translated the Italian content to English. I hope you enjoy. a patented ROLEX OYSTER SPECIAL case, guaranteed absolutely waterproof to a depth of 200 meters. This case is produced entirely and exclusively in Geneva. to strictly comply with the corresponding decompression times. a “Twinlock” crown (for winding and moving the hands) with double safety feature. Invented and patented by Rolex in 1926, and still today the only screw-down crown on the world market. In addition, the “Twinlock” crown is protected by two shoulders that are an integral art of the case. a Rolex precision movement, 26 jewels, with continous automatic winding by a Perpetual rotor, with a reinforced anti-shock device. 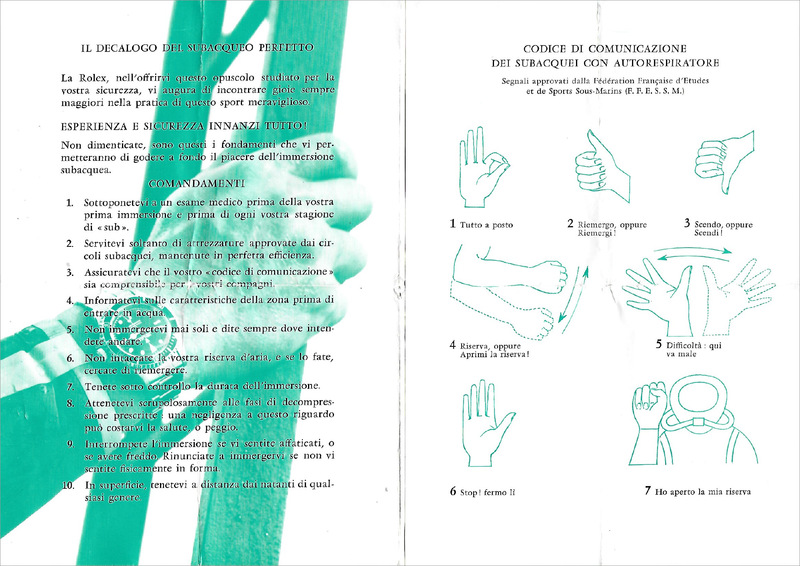 Rolex, in offering you this brochure that was designed for your safety, whishes you to meet ever greater joys while practicing this wonderful sport. EXPERIENCE AND SECURITY BEFORE ALL ELSE! Do not forget, these are the fundamentals that will allow you to fully enjoy the pleasure of diving. Undergo a medical examination before your first dive and before each diving season. Use only equipment that is approved in diving circles, and maintained in perfect working order. Make sure your “underwater communication” is understandable for your dive buddies. Inquire about the characteristics of the area before entering the water. Never dive solo and always tell where you intend to go. Never use you air reserve, and if you do, try to re-emerge. Keep an eye on your dive duration. Strictly follow the required time of decompression: negligence in this regard can cost your health, or worse. Abort your dive if you feel tired, or if you are cold. Avoid diving if you don’t feel physically fit. On the surface, keep away from boats of any kind. I go up, or Go up! I go down, or Go down! Reserve reached, or open my reserve! The rotating bezel on diving watches was originally created for diving with compressed air and according to dive tables developed by the Marine Nationale and the US Navy. Diving with compressed air has clear limitations and timing is always crucial. For instance, it is not recommended to go deeper than 40 meters (130 feet) as the nitrogen build-up in the bloodstream can lead to serious nitrogen narcosis, a condition in which a diver can lose his consciousness and drown. To give you an idea about how limited diving with compressed air is, the maximum bottom time (elapsed time from starting the descent to starting the final ascent to the surface) at 40 meters (130 feet) is only 8 minutes. During the ascent, the diver needs to make decompression stops in order to allow the body to expel the accumulated nitrogen. Decompression stops need to be timed accurately and that is why the Rolex bezel insert has minute markers for the first 15 minutes whereas the remaining 45 minutes have only markers every 5 minutes. 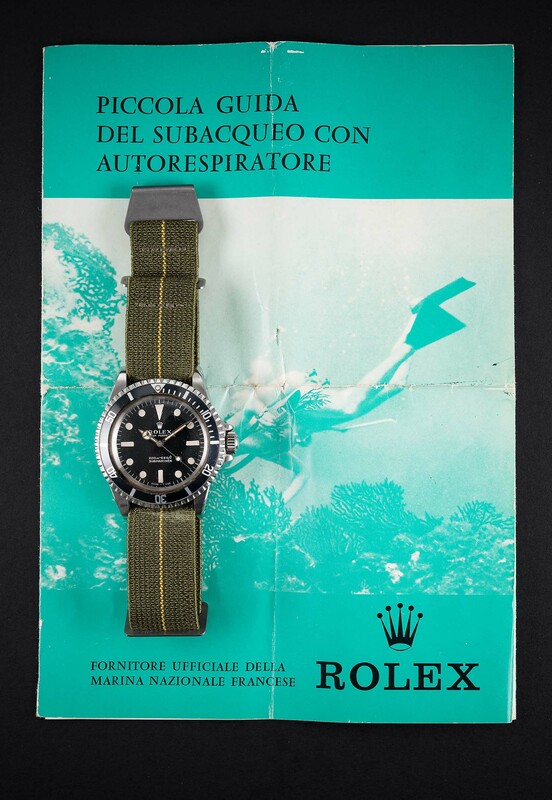 As soon as the decompression depth was reached, the diver would realign the triangle on his bezel with the minute hand and track his decompression time. Professional saturation diving changed everything. Breathing helium and oxygen gas mixtures helped overcome the nitrogen narcosis problem and allowed divers to work underwater for several hours, days or even weeks. Previously unthinkable depths were suddenly possible. In March 1988, Comex achieved an offshore depth record of 534 meters (1,752 feet). Saturation diving is a complicated undertaking that involves entire teams and lots of different material, similar to a space mission. The divers must be pressurized to the working depth prior to the dive. This is done in a pressure chamber on board of a dive support vessel. This chamber will remain the diver’s surface habitat for the duration of job. Teams of two divers then move into a pressurized diving bell and are lowered to the working site. They exit the bell in their diving gear and work between 6 and 12 hours in the water before they return to the surface. The divers then move from the diving bell back into the surface habitat where they rest and sleep. They remain under pressure for several days or weeks, depending on the duration of job. When their work is completely finished, the chamber slowly reduces the pressure on their bodies until it again equals the surface atmosphere. During this entire time, the divers are monitored by a mission control team. With saturation diving the rotating bezel on a diver’s watch became basically obsolete. When I met Bob Barth – the legendary SEALAB diver – in October 2017, I asked him how he used the rotating bezel on his watches. Bob laughed: What for… to boil an egg? As a matter of fact, the bezel on Bob Barth’s 5512 once came off and Bob simply glued it back to the watch.